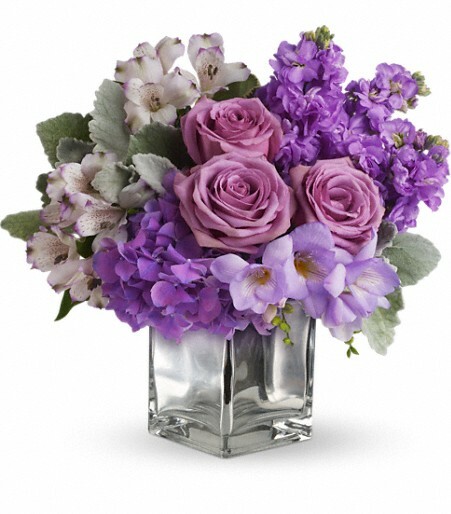 If vases were placed on a fashion runway, this spectacular creation would be the big winner. Made of pink glass, it is artistically sculpted to resemble the folds of a glamorous, shimmering gown. 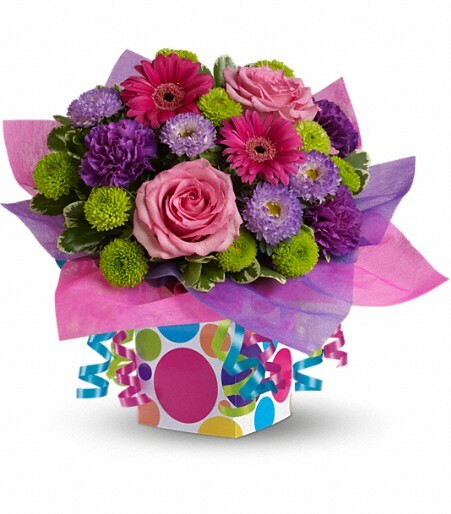 Mom will be swept away by your sense of style. 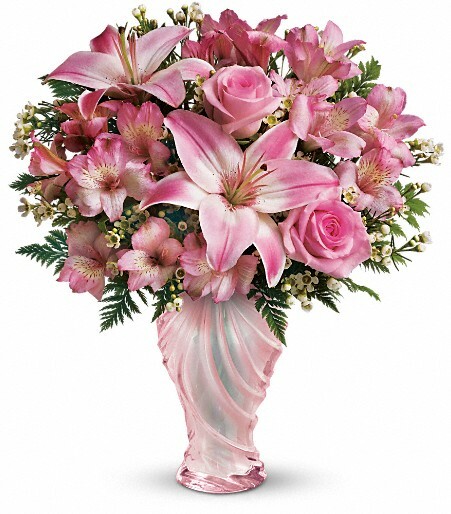 The elegant bouquet includes light pink roses, pink asiatic lilies, light pink alstroemeria and white waxflower, accented with leatherleaf fern. 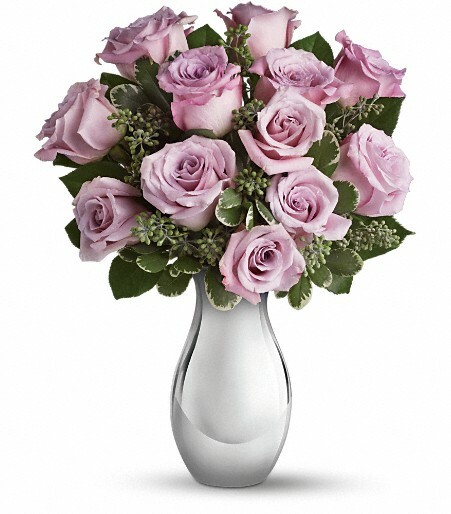 Delivered in a sculpted pink glass vase.